IMPORTANT! Starting July 1, 2018, the Korean Embassy will be implementing a new application process, which requires applicants to file at any of their designated travel agencies instead. The company alphalist is also no longer required. For the new application process, read this instead: NEW KOREAN VISA APPLICATION PROCEDURE. South Korea is a dream destination to many Filipinos. Thanks to the advent of K-Pop, the rise of koreanovelas, and the flourishing of the Korean diaspora in the Philippines. I have made good friends with a number of Koreans over the years: classmates, workmates, bosses. And all of them have brought with them great tales about their homeland, putting South Korea on my travel map. But it wasn’t until this month that I was finally able to make this trip a reality. Visa applications can be intimidating to many, especially first-timers. 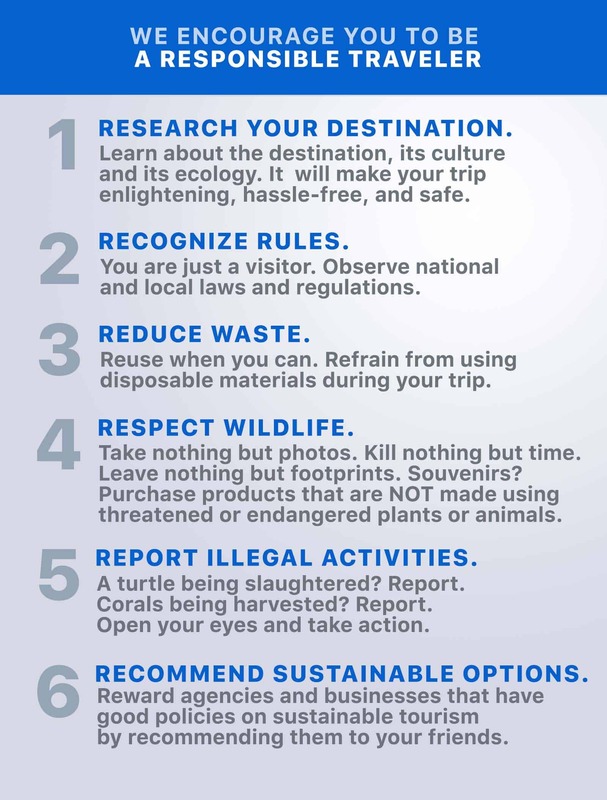 While you may hire a travel agency to do this, I strongly advise you against it because you can easily do it yourself. The truth is, it is a very simple process. 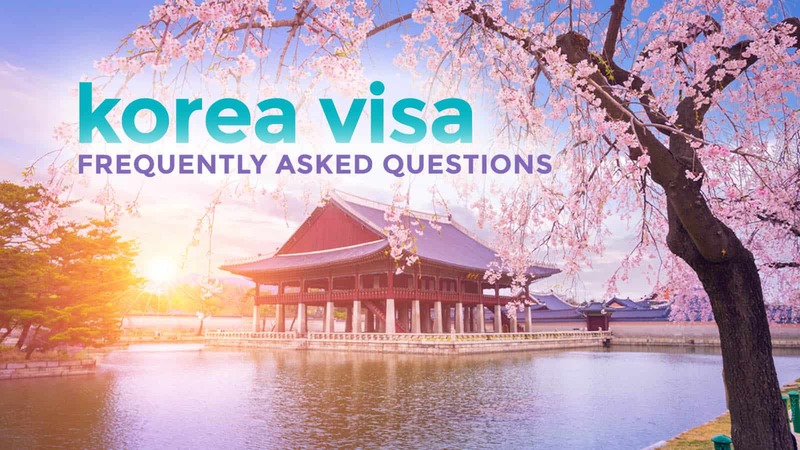 Getting a Korean visa is easy, fast, and FREE. Here’s a quick step-by-step guide on how to acquire a tourist visa from the Korean Embassy on your own. 2. Submit the documents to the Korean Embassy. 3. Claim your visa on the scheduled date of release. Do I need a travel agency for this? Below are the basic requirements. Photocopy of all your OECD Visas (If You Have Them). Only if you have them. If you don’t, skip this part. If you have visas to any member country of the Organisation for Economic Co-operation and Development (OECD), you will need to submit the ORIGINAL copy and a photocopy of all of them. (Past Korean visas are not counted.) To see all the OECD member countries, visit this website. ITR (Income Tax Return, Form 2316) and Company Alphalist (Form 1604 CF with BIR received stamp). Highlight your name on the Alphalist. – Copy of ITR (Income Tax Return) or Form 2316 Copy AND Company Alphalist (Form 1604 CF with BIR received stamp). Highlight your name on the list. Frequent travelers who have been to OECD member countries within the past 5 years are also exempted from submitting ITR. I’m not sure how many OECD visas it takes to qualify as a frequent traveler. Now that you have all the required documents, it’s time for a visit to the embassy. You just need to go to the embassy or consulate, get a number, and wait several minutes. Register and leave an ID at the guard’s station before entering the consular center. Once inside, get a number from the personnel stationed by the door. He will check if you have all the docs. If he’s satisfied, he will give you a number. Wait for your number to be called. Note that there are separate windows for those with and without past OECD visas. Once called, the staff will double check the requirements and ask you questions. After that, they will give you a slip of paper with the DATE OF RELEASE in it. However, come as early as you can. 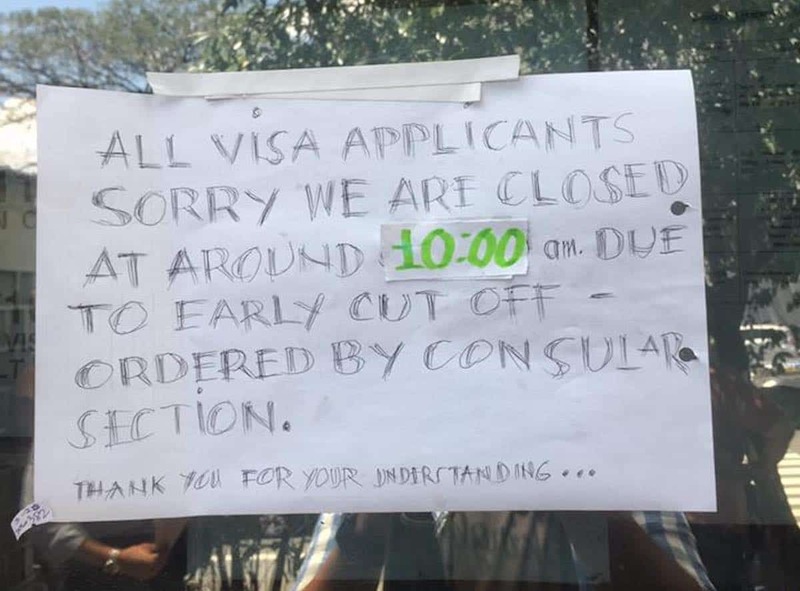 When there are too many applicants, the embassy stops accepting applications earlier than usual. Return to the embassy on the date indicated in the form given to you. 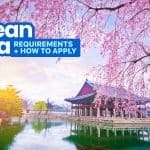 The Korean Embassy is set to implement a new application system that would require applicants to course their application through any of their accredited travel agencies. However, that is not in place yet. For now, you can still work on the application yourself. It’s easy, fast, and free. However, if for whatever reason this isn’t a practical option — you live in the province, you just can’t spare a working day for this — by all means, find a travel agency. Just remember that they will charge you a service fee. The travel agency we usually work with is Gazelle Travel and Tours, a DOT-accredited firm. They actually became our go-to agency for Schengen visa requirements, but they offer Korean visa assistance too for P700. Again, our experience with them is for flight reservation for Schengen visa. We haven’t tried their Korean visa service. We’re just sharing that they have that service too. Anyway, if you’re interested, email them at travelbookings@1gazelle.com. But if you’re applying before July 1, you will still need to provide it by default. Thankfully, one of the members of our Facebook community, Ms. Caye Sadie, got in touch with the Korean Embassy to ask that same question, and here’s their reply. Hi…it says here that the applicant must come personally to embassy for the application…wla ba silang pareho sa Australian embassy na pwd thru courier pagpadala f from province ang applicant? Curious on how much should be reflected in your bank certificate. Hi Joseline. They don’t say exactly, but I believe that having a full-time employment and the length of stay weigh more than the bank certificate. A weekend getaway should not call for massive funds, but they will be looking at whether or not you have reason to return to PH (a job or a business). Yes po, pwede po naman try again. Basta make sure na na-address na yung mga naging issues before (like kung may pinapadala na docs). Di na ba kailangan bumili ng ticket before mag apply ng visa? You can’t enter the country without the visa. Also, it’s not a good idea to get the ticket first due to the possibility of your visa application getting rejected. Hindi malakiyung pera nakalagay po tapos kasi palagiko na wewedro lahat ng pera pinapadala sa akin ngayon augs ang po ako nag simula na mag pon sa bank ko pwde ba yung bank statements na lang po sadmit?? Hi Enchong, kelangan nila BOTH bank certificate and bank statement po. Pano po pag di na-certify yung bank statement kasi generated online lang? Hi! What if you’re unemployed? What category will you fall under? Thanks. If you’re married, perhaps the housewife/househusband applies. If not, I don’t know. There’s a big chance your application will be denied. You can try writing an explanation letter why you’re unemployed at this point, if it’s valid, they might consider. Or you can also try being sponsored by a family member. hi i wanna ask if same din ang procedure to get a visa even if sa hongkong ako mangga2ling going to korea? 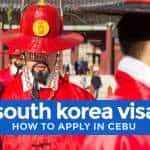 pwede ba kumuha ng visa sa korean embassy sa hk ang ofw or need tlga na sa pinas lng pwde mnggaling ung visa? and aside sa cert of employment eh acceptable po ba ang copy of pay slip pag ofw k? i hope somebody could give me some info.. Thank you so much!!!!! Hi, for 2 – A, is it any of the three, or all three should be submitted? Thank you. Is there a minimum amout reflected on out ITR/2316? Please we need an info. about it coz we’re planning to apply for a VISA dis March, 2014. Thank u and Godbless. Hi Gracie. They don’t say exactly, but if you’re worried about the bank certificate, make sure you have other supporting documents like Certificate of Employment to prove that you have a job and that you have something that you can’t leave behind in PH (a job or a business). Don’t take my word for it, though. Coz they really don’t say. What about OFWs?….. We don’t file an ITR anymore due to the exemption. s this needed? please help us.first timer to apply korea visa as tourist.,me an my 2 kids with my husband as OFW( seaman).my husband is exempted for an ITR.what is the best things to do? Hi, ask ko lang po kung need pa din yung itr at coe kung may invitation letter naman from a korean citizen?thank you po. In our case (a teammate’s), hiningan pa rin kami ng COE and ITR kahit may invitation letter na. Naka reflect po ang gross annual compensation sa bir form 2316..
thanks for this. will think of renewing that incheon dream. I’m.going Feb or March do you want to travel with me to Busan? how many visa in a year ba sila para hindi kna ulit kukuha??? 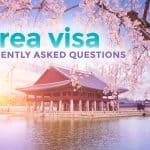 how long is the validity of the Korean visa? Ask ko lang po,dapat po ba updated yung itr na ipapasa?pano pag may itr before pero unemployed ngayon?may sapat namang laman yung bank acct..pano yun?thanks po..
2016 ITR is still accepted kasi wala pa naman ung 2017. If galing japan po ba mas madali ang visa to korea? How about going to Japan…are you assisting to get visa? How do you get a bank certificate? you just need to go to the bank branch and request for it. I believe a small fee will have to be deducted from your funds for the certificate request. The ITR, SEC or cert of employment are important. Especially bank certificate. You need to have at least 20k in your bank. Been to Korea in 2008, 2009. Lived in Korea fr0m 2010 til 2012. I think the same visa rules still apply for now..
meron po bang ibang paraan, kase wala po aqng work and business, tanging sweldo lang na padala ng aswa ang inaasahan q. in short wala po bang alternative na requirements for an ITR? Hi Eds! I’m not the right person to answer this, but I believe you have to indicate on the form who will be shouldering the expenses. ilang months po bago mag-expire yung visa kung naapprove?Like di pa kami nakakakuha ng ticket tapos po naapprove na yung visa.. Thanks! Hi Nash! Mine was valid for 3 months! hi. may i ask if it’s ok to apply for a tourist visa, in my case kasi i work in the department of health – procurement service but im under job order, meaning contractual. but i’ve already worked there for a year now, regular naman kaming nare-renew ng contract. pls answer. thanks. planning to go to korea this spring. Hi Anne! Yes, I don’t see any reason why it won’t be okay for you to apply for a visa as long as you have a copy of your ITR, bank certificate, and cert of employment (which you can write yourself and just have it signed by your superior). Same problem as mine, pano po pag wlang ITR? is there any alternative? may chance ba makakuha ng visa? Thank you Yoske and Chris! im an ofw and i would need to apply a s korean visa. hndi ako makaaplay sa country of residence ko dahil may mga issue regarding sa tenure ng residency visa. 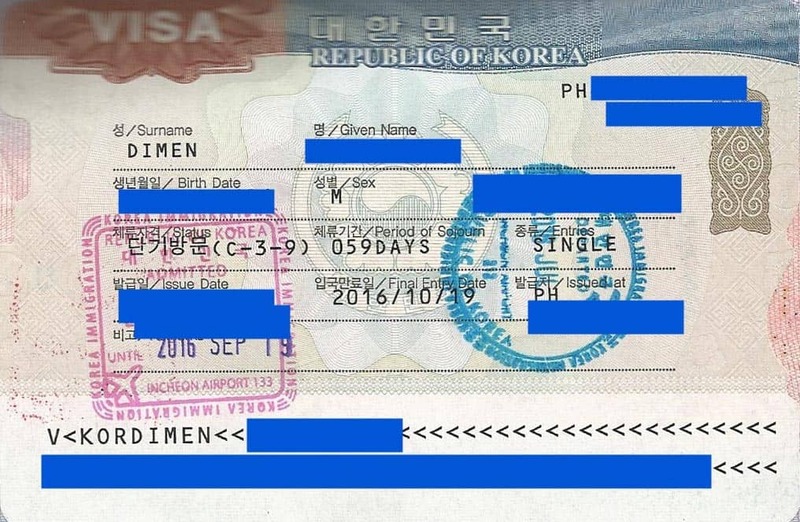 isa sa mga requirements para mag aplay ng S korean visa sa pinas ay ITR, pero wala akong ITR kasi di naman ako nagtatranajo sa Pilipinas. Uuwi ako ngayong abril para magbakasyon at magaplay ng visa. pwde kayang walang ITR? Hi. Ask ko lang po sana if pwede po bang ipadala na lang yong application ng visa namin? If ever po na maapprove ilang months po ba namin ito dapat na e avail? may itatanong lang po yung sa student po ba para po yun sa study visa if ever gusto na mag-study sa South Korea? :/ curious lang po. Hi can I asked if I still need invitation and financial capability…?? ?my boyfriend is working there but he is not a Korean..I don’t have work and he pays all the expenses for my travel!!! Hi! I would just like to ask, I’m a student and from the given list of requirements naka-indicate yung Parents’ ITR and Employment Certificate. However, in my case, my mom is a housewife and my dad is a retired policeman. I think it’s quite impossible na to get an ITR for my dad. Is there any alternative for that? Feedback highly appreciated, thank you! Thanks for sharing, Jose! I agree! I love your blog. I keep on reading and reading all your blog posts.^_^ I just want to ask cause i’m planning to have a vacation next year to korea, actually i LOVE KOREA even if i’ve never been there and honestly, it’ll be my first time to travel abroad. I have this dilemma of not passing the visa application. I’m just an ordinary employee of a manufacturing appliances company and have a salary ranging 13k-15k a month. In my itr it’s declared that i’m below minimum wage earner, is there any a chance that i could pass the visa application? Though i have more than 50k savings in my bank account. And which is preferrable, i’ll first book a flight before applying a tourist visa ? (cause i’m planning to book a promo fare (1 fare) or appplying first the visa before booking a ticket which will cost me more than 10k.. thank you. I’ll wait for your reply. Hi Mariz! Thanks for your comment! Apply for a visa first before you book. You will be asked which flight you’re planning to take but no need to purchase tickets yet. As for the other question, I can’t say whether it would be enough to convince them. Hi, I want my mom to apply for korean visa but she’s retired na. Ako yung gagasto sa trip, documents ko ba yung kelangan i submit? Like my own bank cert, coe, etc? Pano if I work abroad, so yung bank cert ko ba dito sa country of residence ko yung ipapa submit ko sa mom ko? Thanks! Hi! Question on what documents should an OFW (still in abroad) prepare and get from the country they are staying now? Like are there docs(COE,Bank certs.) to be stamped by any government agency abroad? Hi, I’m planning to apply for a Korean Visa as an employee which requires a 2316 form or ITR, when I requested my employer for it they said that this is not available in my case because I started working on February 2014 and the filing for taxes were on the same month. Will I still be eligible to apply for the visa? I heard somewhere that they conduct interviews. Is that true? Hello. 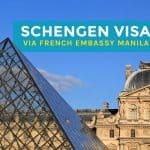 Ask ko lang pano pag d na nagaaral and walang work, ano po gagawin para makaapply ng visa? 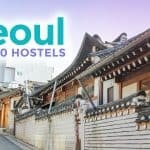 I would just like to ask if it is important to have a place to stay in Korea? I am applying as a student tourist. My best friend since high school (who is Korean) invited me and indicated in the letter that I am welcome to stay with her during the duration of my trip. Should I put her address and contact information as my address and phone number in Korea? Or is it advisable to find my own hotel/lodging? My parents will be the ones to shoulder my expenses for the trip. Let me share my experience,nag apply ako ng visa may 2014,actually 8 kaming magkakaibigan.aattend kami ng wedding ng korean friend namin,kinakabahan ako kasi 1st time kong mag apply ng visa nakalabas na ako pero hongkong lang nov 2013,so inayos ko ng mabuti req. ko i have 300k sa bank statement (checking account) hindi kasi ako employed so business pinasa ko,mayors permit and dti and itr.itr ko 160k lang income for the whole year! Lahat sila na approve ako lang ang hindi.naiyak ako kasi ako lang maiiwan and masasayang ung ticket and hotel namin 50k! Masasayang kasi di naren tutuloy bf ko since di ako na approve.so sabi ng mga friends namin mag appeal ako.wala namang appeal sa korean embassy.pero nga kami umalis.kinausap ko yung koreana and asking for another chance,kasi sayang ticket ko and sinabi ko kasama ko bf ko,tinanong nya approved ba bf ko sabi ko oo,so binigyan nya ako ng option hiningi nya docs ng bf ko to be my sponsor and gagawa ng affidavit na sagot ako ng bf ko,sa madaling salita hinanap nya yung docs ng bf ko na record sa knila nakita nya yung bank statement.may 1m na time deposit sya sa bpi pero hindi paren sila na convince,sabi ng koreana magdala pa kami ng lahat ng pwedeng magpatunay na kaya ako sponsoran ng bf ko.sobrang nadedepress na ako kasi 5days lang hinihingi ko.so sa madaling salita dinala ng bf ko ang ari arian nya like company papers na sya pag mamay ari.5passbook kasi di sila satisfied sa 1m.sabi ni koreana pinarangka nya kami pakita na daw lahat as in! and properties papers actually medyo na hassle for us kasi nakita na nila lahat lahat ng ari arian ng bf ko.anyway pagkasilip sa passbook! Kung ano yung may laman ng savings ng bf ko!wala pa 1min print nila visa sa harap ko! Tapos kinancel nila yung denied sa passport ko :) sobrang saya lang! Single entry 59 days binigay nila sakin.so ngayon nag apply uli ako same documents nung nadeny ako,inexpect ko denied nanaman ako pero nagulat ako kasi multiple entry ang binigay nila sakin!!! Hi! Question, how did you appeal? I mean which counter? I got denied of a visa.. well I am currently unemployed but my bank statement and certificate show that I have steady flow of money In my account. I travel frequently, I have a valid multiple entry visas for the US (10years) and Schengen (2years) but they still denied me a visa! Their reason is ‘you failed to prove the purpose of your entry to Korea’ which is so absurd since I submitted my boyfriend’s confirmed hotel and plane bookings. I have put in my application that I will visit him there while he is on business trip in Seoul. Uggghgh. Hi we are planning to go to Korea on May. My problem is my dad is for retirement, he has a retirement order already cause his bday is on May 2015. So it’s not quite possible to get a cert of employment and maybe an ITR too. What are the requirements for retired policeman or just a retired govt employee. Please reply. Hi! Just wondering if you know of alternative documents that we can submit instead of a COE? I’ve been unemployed for more than a year now and only earn money from doing various online jobs. I have a recent ITR, voluntary contribution but I do not have a COE. I’ve only been to some countries in SEA and only have visa from PRC and ROC (both were sponsored by my parents). I called the SK embassy and said that since I’m already an adult, my parents cannot sponsor my trip anymore and an affidavit of support will not suffice. I have the other requirements already my only problem is the COE. I hope you can answer my question. Sorry for the lengthy comment. Hello po. Ask ko lng po if okay lang na joined account ung type ng bank statement at bank certificate na ippresent sa visa application? Thanks in advance! 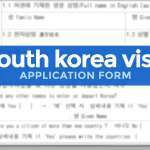 Is hotel reservation in Korea not included among the requirements for visa application.? Hi everyone! My fiance and I opened a joint bank account last year, meaning the names reflected there are our maiden names (me as lady especially). We’re getting married next year and we’re planning to have our honeymoon in SK. Can we use the funds in our joint account as show money provided we have separate bank certs? Or does it have to be a personal account? hi how if wala akong job but i have an account. panu po un? My friend want me to go in south korea for work..how can i go there with invitation? What requirments need? denied visa ko. may nakapagtry na ba dito magappeal? tumawag sakin smtowntravel . i bought a global package kasi for their hallyu concert . they emailed me a proof that I’m going there for the concert lang(itinerary and receipt inemail nila) kaso diba 6 months pa ulit reapply in case nadeny? do u think its worth it pa na magpunta ako embassy to appeal to get my visa granted. tourist lang naman talaga purpose ko. nag attaced ka ba ng itr and financial docs mo? bank cerificate and certificate of employment? What do you mean by original school certificate? kuha ka sa school mo or university ng school certificate. Hi! Ask ko lang Po, pano kung yung itr ko from previous job at Wala akong certificate of employment sa new job ko Kasi probationary palang pero may job offer certificate Naman ako. Can I still apply? Nakabook na Kasi yung flight Namin pero problem ko yung visa. Reply is highly appreciated. Thank you! Just try and pray. Gawa kna lang ng letter ng explanation mo. And dalhin supporting docs ung lumang itr, at ung ceritficates na meron ka. and importante, ung bank cert talaga. “Bank Statement” showing last 3 months worth of transactions (deposit/withdrawals) is now part of S. Korea official list of requirements for visa applications. Hi. Does anybody here knows how long is the validity of a koren tourist visa? hello po. may itatanong lang po ako. kasi po kami po ng mama and little brother ko plano po magbakasyon this month sa busan korea. we are planning to stay there for 59 days po sana. pero po hindi po kame mags-stay sa hotel kasi po don po kami magsstay sa house ng friend ni mama sa busan korea. Kelangan pa po ba ng invitation letter from my mama’s friend from busan korea??? yes, invitation letter and photocopy of passport/ID of nag-iinvite na taga-doon. Hi! i just want to know if its ok to apply for tourist visa first before booking a plane ticket going to SK? ok lang kung sure ka naman maaapprove ka, akin ganun ginawa ko e.
Just a quick question. In one of the fields of the visa application it asked for the countries youve been to in the past 5 years. I went backpacking last december and entered and exited Thailand 3x should i just put the dates i was there or would it help if i submit a letter with it? Hi Jayce, the first time I submitted a separate page enumerating the list of countries I visited and the corresponding dates. I didn’t give explanation. Hi! How did you present the separate page? I mean did you use any header or you just enumerate the countries you’ve been to and the corresponding dates? Thanks! Hi Arah, I just wrote “List of countries I visited.” Tapos may name ko. Tapos ayun, countries + corresponding dates na. nope, makikita naman nila un sa passport kung totoo nagtravel ka e.
Pwede naman un, magpakita ka lang ng files na magpapakita na related kayo. sa form ang alam ko may nakalagay dun relationship mo sa sponsor mo, lagay mo brother ganun. tas ung bankcert niya and all, di kana qquestionin as long as kumpleto ka sa supporting docx. Good day po! Were you able to go to Korea with your student visa and did you submit school certificate? Thank you! Hello! what if I’m both self employed and employed? what would be the arrangement? I read that if I do have a BDO Credit Card I can be grant of 3 years Visa? What should I do? I do have both BDO Gold Union Pay and Mastercard. Do I just need to mention to the consulate that I have those Credit Cards? Hi we have the same card. Ask ko lang if naapprove ka? Ask ko lang what should I do to get a KR visa. I’m currently unemployed. I quit my job last Dec 2016 and currently looking for one. I have almost 100k in my account. I’m going there with two of my friends this coming Sept and we already booked tickets. Hi! Did you get your Visa already? What if my coe states that it is issued upon my request for creditcard application and not for visa application. Is it acceptable? What if may chinese citizen passport applying sa korean embassy here sa philippines? Will they still accept and process it? I have a Japan “Trainee” Visa and not a “Tourist” Visa, does that qualify me to the window for OECD Visa holders? Hi po! I want to apply for student tourist visa and am planning to travel alone. Sa tatay ko sana ako hihingi ng bank statement, COE and proof of financial capability kso hndi nakasulat ung name nya sa birth certificate ko, tapos yung mama ko po unemployed. Pwede po ba kung yung tita ko yung magiging financier ko? Kahit di ko po sya kasama magtravel? Thank you and God bless! Hello I just wanna ask kasi fresh grad ako and still wala pang work. What should I do? Kasi grad gift ng parents ko ung magiging tour namin sana sa South Korea at kasama ko sila. Anong requirements ang kailangan ko? Need pa ba ng explanation or simply put unemployed and sponsor yung parents ko sa application form? Hi! I suggest writing a cover letter explaining that you’re traveling with family and that this trip is a graduation treat. It will increase your chances of getting approved. Hi, thank you for this, such a big help!!! Just want to clarify things about OECD? i worked in Canada last 2yrs ago i had a working visa stamp on my old passport. Is that valid as OECD? Planning to travel to SK soon. Hello po…ask q lang po invite aq ng friend q sa korea possible po ba yun? At his interested to send me an invitation letter and d2 po aq sa kuwait now. Need pa po ba ang ban accnt? Kuwait to korea na po destination q. Pls. I need the answer asap caused my friend is waiting. Thanks and gob bless! Question, what if I was given multiple entry last June 30, then suddenly my flight was moved from July 30 to October 30, would there be a problem? Would be glad to hear your thoughts. Thanks. My daughter and I are employees, and will submit the same set of requirements for employees, and travelling together. Do we need to submit birth certificate? Hello po ask ko lang po about dito Original Personal Bank Certificate (must include account type, current balance, account opening kasi hindi ko po na huhuugan masyado ang savings account ko minsan nauubusan ng laman ngayon augs lang po ako nag simula mag hulig gust ko mag try sa dec kumuha visa wde po ba yung papakita ko yung 3 months bank statements ko?? hi..is form 137 during my highskul year is needed even if have earned my post graduate studies as a requiremnt being invited to korea? Hi, just curious of the counting of “3 days”. Say I applied today, when will I get it? Hope your application was approved!  Hi,I got my visa result- DENY… i submitted all necessary documents.. it is a package tour from a travelling agency. Complete papers as we apply as a group. Ako lang na-deny . The reason is very unfair. Im an Online teacher. They don’t like my job. CAN I MAKE AN APPEAL.? We have our roundtrip ticket already.. please help?.. how to make an appeal.. our flight is on Oct. 18. What requirements did you submit? I also work online. Yung sa amin po ay signed lang. Hi, my sister will be travelling to Korea this February. However, she is unemployed and yung magsh-shoulder ng trip nya is yung isang sister nmin. Ang issubmit ba nyang COE, ITR, Bank Cert and Bank Statement is yung sa sister nmin na magsshoulder ng trip nya? Hope someone can help. Thanks. Hi Hazel, based on experience, both the applicant’s and the sponsor’s COEs, bank certs, and ITRs have to be submitted. Hi Nold! Having complete requirements doesn’t mean your application will be approved. They need to assess the documents you submitted too. Reasons can be about anything: It may be lack of funds, insufficient proof of your rootedness in PH, dubious purpose for traveling, or something else. Hi. Happy New Year! What is the “Original School Certificate’? Is the the duly-accomplished Enrollment Form? Or a certificate issued by the school duly-signed by a competent authority (i. e., Principal, Registrar, President, etc.) stating that the child is currently enrolled in the same school in a particular grade level? Thank you. The visa will expire 3 months after issue. You can’t use it in June-Dec if you apply now. Hello, hope you can help me. My brother and I will be going to South Korea on June 2018. My Aunt and her family will be joining and will sponsor us. I read in other blogs that Family members are only sister, brother, mother and dad. 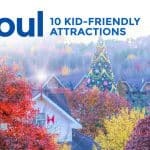 I was wondering if I should write them in the “Are you travelling to Korea with any family member ?” section? The lines provided weren’t enough for all their names. (They are a family of 5). Hoping for your answer. Thank you! Hi! Yeah, that’s what I know too. Family is usually just immediate family. However, you can write the details of your aunt and cousins on a separate sheet (since they won’t fit the space provided in the form anyway). And if the staff asked what it is, you can just say they’re your aunt and cousins. They will remove that extra sheet if they don’t think it’s acceptable naman. hi po iba po ba yong requirements sa tourist visa at requirements sa visiting of family? and then pwede rin po ba wala po akong itr kaya ang ginawa ko ay nagpagawa po ako ng affidavit of non- filing of income tax sa attorney..
hi, I’m planning to have a vacation in SK together with my friend and this is my first time traveling outside the country however I am worried that if I apply gor a visa it will be denied. please help. Hi we’re planning to go to Korea this March with my mom who is a senior. Per checking on the list of requirements even if senior they should submit a Bank Certificate, but I will shoulder everything. I have now all the requirements, except for my mother’s bank certificate. For pension lang kasi yun eh. Required pa rin ba? Or will just submit a cover letter that I will shoulder all her expenses during our stay in Korea? Hi! Not sure if this is the case for all, but based on our experience, they still require bank certificate of the applicant even if the trip will be sponsored by someone else. Ask ko lang po sana what should I do to get approved a SK visa. I’m currently unemployed. I quit my job last Dec 2017 and currently looking for one.I have almost 70k in my account. Hi Mosh. To be completely honest, there’s a big risk of denial if you’re unemployed and you have only P70K. hi, i have been to the Netherlands last MAy 2013, if i will apply a visa for my June 2018 trip, is my OECD visa still within the 5-year qualification? should is stand on the OECD window also? You can apply as early as 3 months before the trip. If you apply in March/April, then yes, your Dutch Schengen visa can be counted as OECD visa. i have realized and was told by a friend that my Schengen visa is a business visa – as i was invited by my company although i only stayed for a week. does this mean i am no longer qualified for the applicants with OECD visa? also, i have been informed by my HR admin that they file the BIR Alphalist online so they no longer have the listing received and stamped manually. will the online form suffice? Good day! With the alphalist pareho po tayo sabi ng hr namin wala ng bir stamped because of online and yung ruling ng bir. Balak namin mag apply ng visa this week na. 9 years employed. 1st time to travel abroad. Nak ipon ako almost 100k plus sa bank yung gagamitin ko yung payroll atm ko lang hopefully ma approved din. Mag sharw ako ng update ulit. Thank you! Please let us know paano nyo nagawan ng paraan yung alphalist. Kasi malabo din mag-release ng ganyang document ang HR/Finance namin. hi po sir. sensya na po late nko nakareply, nabusy sa itinerary ng taiwan. kumuha lang p ako ng xerox s ffice namin ng alphalist pinabura ko lahat ng details basta yung makkita lang ung details ng company at yung list na kasama ako. dahil maliit na office lang kami, nakahingi ako sa office ko po. ni-dry seal na lang ng hr namin yung xerox. Hi Marianne. May chance po na maapprove. May close friend po ako na similar sa situation ninyo, matagal na sa work and 50K lang ang nasa bank, naapprove. Pero sa Osaka sila. Hi. Can I ask kung anong pwede gawin if yung company hindi nagrerelease ng alphalist? Or if ok lang na burahin yung details nung ibang employees and then yung akin lang yung nakikita? Thanks! Yep, yung iba, pinabura yung sa ibang employees. Not sure, but maybe you can try to submit copies of invoices, etc. But they will still probably look for ITR. Awww! Thanks! Also, is it okay kung yung isusubmit na bank certificate and bank statement for my friend’s husband ay sa friend ko? Kasi walang bank account ung asawa nya. Or is it okay na ung payroll ang ipresent? Okay lang ang payroll if ung balance nun is sufficient naman, hindi bumababa ung ADB. Not sure ung tungkol sa friend mo, pero feeling ko pwede un kasi mag-asawa naman sila. Pero feeling ko lang un, di ko sure, ehehe. Hi! Just want to update about my friend’s husband case, nagpresent lang sila ng marriage contract (each) at bank statement and bank certificate (each rin po) and they passed! Ask ko lng po.dun sa bank statement po.paanu po pag joint acount po kame ng asawa ko pero ako po magaapply? Papayagan po kaya? Asa 200k plus po ung laman kaso samen dalawa po nakapangalan.bussiness man po ako.makakakuha po kaya ako kahit d ko sarili ung acount? Hi Shiela, yep, dapat mas mataas kung you’re sponsoring another person. Regarding sa additional docs, I dunno kapag ung minor isn’t traveling with parents. :( Best to call the embassy kasi wala rin sa website nila. Hi Sir I am planning to apply Korean visa this coming March and planning to go on April with my daughter I bought tickets for Jeju kasi today lang kasi biglaan ko lang naisip na magkorea since April yung spring time sa Jeju at kasi no need visa naman since kasi nanduon na kami sa Jeju planning na after 3 -4 days mag seoul naman kahit 3-4 days lang so April 10-17 ung plan ko since need ko asikasuhin ung filling ng ITR ng april online seller po ako sa Lazada may business permit ako from BIR DTI mayors permit baranggay permit may bank account ako na kabayan savings since 2014 and continuous naman ang pasok ng pera bukod sa remittance and pay out from Lazada I paid my monthly percentage naman po since May nung nag start ung online business ko and I have all the copies po I started travelled Asia since 2008 until last yr may stamp ang passport ko pero wala na po ung old passport ko na may tatak na since nag renew na ako yung daughter ko is nadala ko na dn sa HK and Malaysia last labas nia ng bansa is 2016 dhil student mahirap kaya biglaan plan namen kc nga bakasyon ung ITR problem ko kasi April 15 pa ang filling although and plan ko mag apply ng visa ng first week of the month ng March and also ung concern ko is kasama ko anak ko how much ba need na laman dpat for 6 days travel to 7 days na laman if bayad na lahat ng hotel and tix? so basically ang travel money nalang na gagastusin namen doon ang kelangan saka ngaun pde po ba iaattach na kaya april plan is dhil bakasyon at may pdeng humalili sa online business ko habang nasa bakasyon ako for one week kc kapag pasukan busy na niece ko sa school? sobrang haba ng question ko gusto ko lang kc masure na may chance kami kasi excited na yung anak ko. and also makakahu naman ako ng school cert from her school kukunin ko na sa Monday ung school cert thanks. Hi. Mag apply kami ng korean visa as family. We alao declared dun sa form na yung family members na kasama is yung mama, papa and 2 sisters. However, mauuna kami ng mother and 2 sisters ko mag apply ng visa as family this month. Para makag purchase na ng ticket after getting the visa. Then yung papa ko, since ofw siya, sa 1st wk april pa uwi nya, chaka palang sya makapag aapply ng visa. Do you think okay lang na ideclare sa form na kasama yung father ko pero hindi namin sya kasabay mag apply ng visa? Hi! Would you know if okay lang iclaim ung passport beyond the indicated release date? Hello! I’m planning to apply for a visa pero nagpapanic ako kasi regarding the savings account.. Required ba na passbook savings account? Meron kasi akong savings account pero ATM sya (BPI) tsaka meron din akong payroll na ATM din. Does it matter ba if passbook or ATM? Thank you! Di kailangan na passbook account. Pwede ka pa rin humingi ng bank statement and certificate kahit ATM account lang. 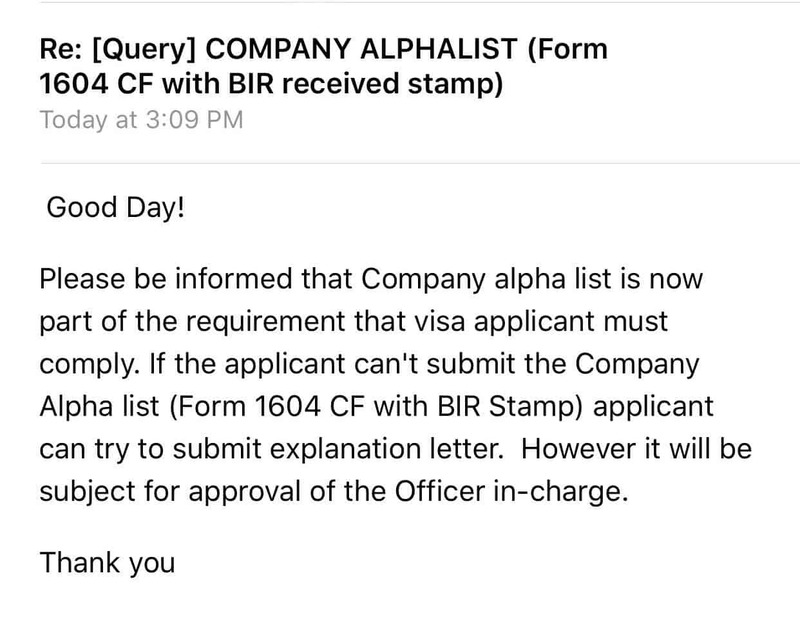 Hi the embassy indicated that starting March 26, there should be a Company Alphalist (Form 1604 CF with BIR received stamp). However I will be applying on March 23 so as to avoid submitting this requirement because our HR cant issue this kind of document they say it is confidential. Do you think it will still affect my visa application? Hi! I really have no idea because it’s new policy. In Cebu, though, this has been in effect for a few months na. Not sure in Manila. Do we still need to submit the Company Alphalist (Form 1604 CF with BIR received stamp) if we have already visited South Korea once (2017)? Also, the promo regarding BDO/BPI gold card holders, if we will submit this along with all the requirements can we apply a couple of months (more than 3 months) before the actual flight? Hi, am I right in my understanding that the embassy requires this company alpha list with bir stamp only for those first time Sokor travellers who have not travelled as tourist to OECD member countries within the last 5 years? If my understanding is right, so hindi ko kailangan mag submit ng Itr with alpha list dahil kagagaling ko lang sa japan last january 2018? Kahit used visa na ang ipakita ko dahil single-entry lang ang visa ko sa Japan, hindi ko na kailangan magpakita ng itr/alpha list. Hi Al, that’s how we understand it too. If you’ve been to Japan last year and since Japan is an OECD country, you don’t need the alphalist. But then, we’re not sure because this rule is pretty new. We haven’t tried applying na in effect ang rule na ito. Hmmm. That’s weird. Nasubmit na daw ba nila tapos hiningi ng embassy? Maybe your agency is being too cautious? According to the travel agents we talked to, those with a used OECD visa, kahit first-timer, di na kailangan nang alphalist. Hi! Good day po, I wanna know if ilang days pwedi mag stay sa korea for tourist, meron naman mag iinvite sa akin kapatid ko. Kailangan po ba na ideclare agad na ilang days ang tagal ko sa South Korea or ok lang hindi at dun nalang ako uuwi sa deadline na araw? Thanks po, sana may sumagot! You need to declare how long you will be staying sa pag-apply mo pa lang. 59 days ang maximum for tourist visa. Hello! I was wondering if you can help me with my situation. My family and I are planning to travel to SK in June (9-15) but I’m a graduating student. My last term ends in April and my exact graduation date is on the 16th of June. I don’t know which category I fall in. Also, my parents have the BDO/BPI credit card that falls under the current promo. They are exempted from submitting an ITR and bank certificate as long as they present their credit card statement, correct? Do I submit the same thing as well since they are funding the whole trip? Thank you so much! Hi! I’m not sure but I think you still fall under student, but make sure you apply before graduation. Would anyone know if marami nang beses nakatravel sa OECD country and once palang sa SoKor ay exempted na rin sa submission ng ITR? 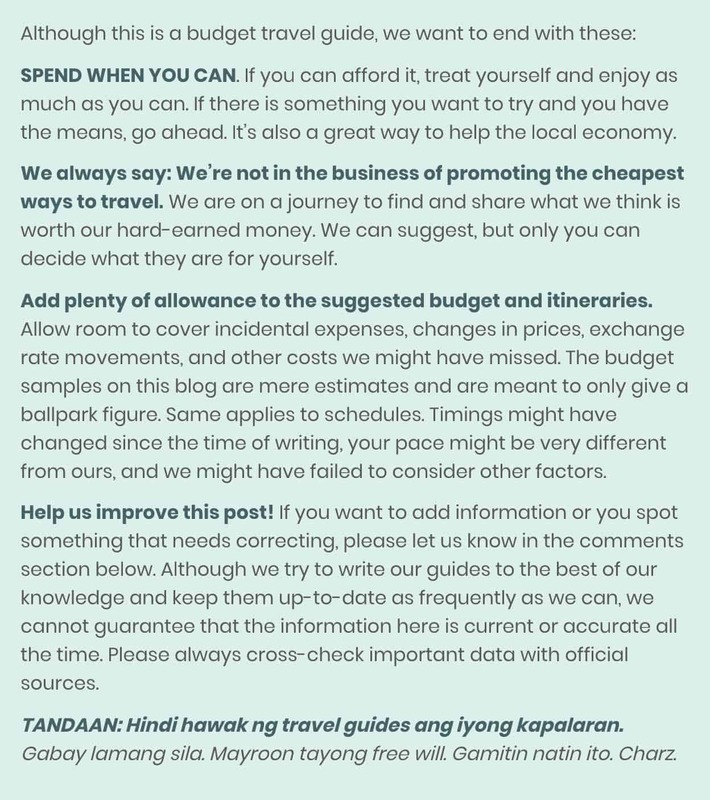 If you’re an Ofw on vacation. Do you still need to submit ITR. Hello! I just graduated university. What category do I fall under? Am I considered as unemployed? If so I won’t need to bring any documents that represent any affiliations I have with any institutions or companies right? Sorry I am so confused because when I checked the website of the embassy I did not see any guide for people who are in my position where they just graduated and have no job but just want to your South Korea. What do I have to do to assure that I can get my visa when applying? Exactly my case too. Nag apply na po ba kayo ng visa? Regarding my case, grad gift lang sana sakin ng parents ko. Hi, I’ll be travelling korea on may 2, 2018. birthday treat for myself may 2-6 po kami don and may 7 po is yung birthday ko. but wala akong ITR and COE. Pero may money naman po ako sa bank around 100k+. May father died last august 2017. im his personal secretary kaya po wala akong ITR and COE. May contract po ako ng construction company na bago na naka name po sakin. pwede na po kaya yun? mag papasa langa ko ng letter of explanation why i failed po na mag pasa ng ITR. the i attach ko na lang po yung mga supporting documents like contract ko na recent with the construction company then naging exhibitor rin po ako sa bazaarlast october 2017 to january 2018. meron pong business permit and contract na naka notary under my name. pwede ko po kaya i attach rin yun? THANK YOU. please help me. Hi Raysa, I wish I knew the right answer to your question. Hirap na rin kasi ngayon kasi sobrang strict na ng embassy. I guess the best you can do is isubmit lahat ng pwede mong isubmit to prove na you have a job and source of income. And write a cover letter explaining everything. But no guarantee. may plane ticket na rin po ako roundtrip + confirmed booking po ng hotel. pls help thank u somuch!! good day raysa, ask ko lang if nakapag apply kana ng visa and kamusta yung naging outcome? Thank you! I just graduated from university… what category do I fall under? I currently have no job and I just want to go on a vacation! 1. You have to line up before you can sign on their sheet. I lined up 5:45AM, and my queue was 150th already. I heard some people were already there as early as 4:00AM. That means, you can no longer go there earlier, sign up, then go elsewhere to have breakfast, and then just go back before they let people in (which was around 7:20AM previously). 2. Only first 250 people will be accommodated, then the rest will not be entertained. So if you see that the line is already near Petron, you may still have a chance. When I lined up, I was almost near Petron, but as I’ve mentioned, my queue was 150th only. 3. They start the signing up at 7:00AM, 10 people at a time. 4. Don’t forget your umbrella because it is absolutely hot. I had instant tan lines on my back. Another thing (I’m not sure if it’s already common information), people with Japan Visa have advantage. I was asked by employees pre-checking the documents if I have been to Japan, but I said ‘no’ so they lined me up to Visa 1 window (1st time travelers). I argued that this was my 5th time applying visa and my previous applications were already in Visa 3 window (frequent travelers). So they let me on Visa 3 window. Hope this helps. 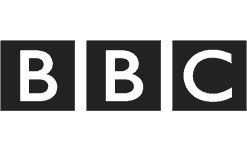 I have my own blog and plan to include these info as well, but you have a wider reach so I hope this will help lots of people. by the way, they no longer ask for ID when you sign up, but better be ready and bring one. If family, only one person will be allowed inside. Can I just ask if there is a specific amount needed in the bank for it to be qualified in approving Visa? Thank you. Hi. Talagang tumatawag ba ang Korean embassy for verification? Ngayon kasi kakatanggap ko lang ng calls from them. Last thursday kami nagpasa ng application. Nagulat lang ako kasi sa mga nababasa ko, parang wala naman nagsasabi na may tumawag sakanila from embassy. Anyone na may same experience? Yep, they do it sometimes. Usually, pag may questions or hihingi ng additional docs. Happened to our teammate before. Hi. We are planning on going around Oct pero ung kasama ko student. Ndi ko xa relative. Friend lang. Ang meron lang xa is her passport. Pls advise. Can’t advice if that’s the only info you’re gonna share. Good day! Ask ko lang po kung required na my na BIR stamp ang ITR form (under employee status), kasi po iba iba po nababasa ko sa website. Pertaining sa website ng Korea, di po nakaindicate na kelangan, sa ibang nababasa ko naman po sa internet kelangan. Ano po palagay nyo dito base on experience? Kung magaapply po ba ako ng visa this april, ok lang na ITR 2017 ang ipasa ko? Thanks in advance sa pagsagot. Kelangan ng stamp. It’s a new rule kaya iba-iba ang nababasa mo. Yes, okay lang ang ITR 2017 dahil wala pa naman talagang UTR 2018 kasi yearly yan nirerelease. Sulat mo lang saang hotel mo balak mag-stay and kunin mo address and contact number ng hotel na yun. 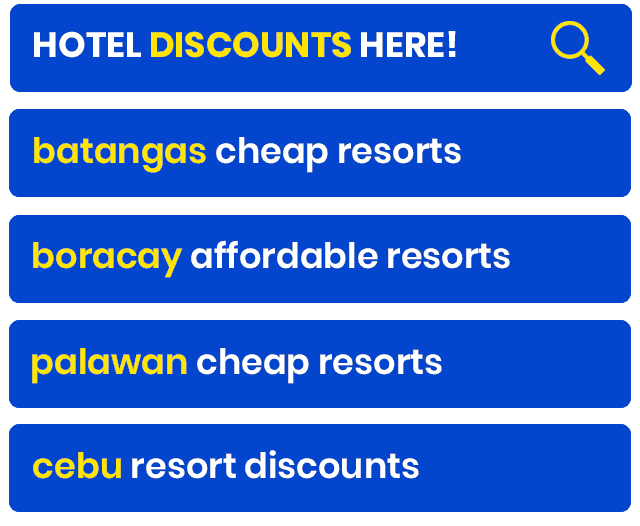 Di kailangan ng actual hotel booking. Saan mo lang plano magstay. I’ll be travelling on March 5-11 2019 by next year. And it seems that our ITR from my current company will be distributed by end of February of 2019, and that time would not be applicable for the VISA application. Our accounting suggests that he will give me the 2017 ITR instead of 2018 ITR. Is that ok if I will present my 2017 ITR for my VISA application? Hi Ma’am, ayaw po kasi i provide ng company ko yung copy of alphalist its confidential daw po kasi. Paano po kaya yun? Thankspo sa reply. god bless. Hello! 1st time to apply for South Korea Visa, I’m non-OECD and I dont consider myself as ‘frequent traveler’. I submitted my application earlier today at McKinley. I arrived 4AM, lo and behold there’s a long queue already! May mga nag-camping panga yata dun. Nakapila kami dun up until lumiwanag na, around 6-7am umaandar na unti2x ang line. I suggest to bring umbrella, sakto sa sunrise yung pwesto nung line eh. Upon logging-in sa gate, I’m #120~ish applicant on the log sheet, sabi nung guard hanggang 250 lang papapasukin. Nakapasok ako around 9:30AM, there’s a queue again sa loob, at least two more, before ka makarating sa guard na nag-va-validate ng documents. May mga pumipila dun na bulto ang applicatons na hawak – probably agency? not sure though – kaya yata tumatagal yung pila dahil sa kanila haha. Upon reaching the guard, he validated our documents, no questions asked as he arranged my documents, removed the booking docs (airline & hotel), then binigyan ako ng number. I don’t have the actual BIR 1604CF document since this is submitted by our company online and medyo sensitive sila with it, so the company gave me: (a) an email notification from BIR confirming the submission & receipt of the 1604CF; (b) a screenshot of my name in the actual Alphalist submitted. I lieu of this, I crafted a cover letter explaining the situation about this requirement and included contact persons so they can validate. My number was called on Window 2, submitted my docs, again no questionss asked, then handed me the claim stub. Hoping to claim my passport with Korea visa in it! Hi Julius, yeah, sobrang lala na nga raw ng pila these days. But the embassy is doing something about it na. Re alphalist, what your company did, sending email from BIR and screenshot of your name, is a good idea! I mean, better than nothing. I just checked online, APPROVED!! I’m expecting 59 days lang ang ma-issue, but thats okay. Nakaka kaba lang kasi talaga kasi we booked airfare and hotel in advance. Please note to check the application status, the website is NOT e-visa.go.kr. The correct website is visa.go.kr. I said this kasi laging top search sa google yung maling address (victim ako e kainis), so direct type nlng sa browser yung correct address. Yay! Congrats!!! And thanks for the reminder! hi friz let me say something about bank account. I think what the embassy most likely wanted to see in a bank account is not really the amount although it’s good to have an amount that will ensure that you will have money for your travel. but I think it is the in and out or cash flow of your bank account that they wanted to check;hence, they request for the ADB. and how long your account in the bank.. i have known someone who has 10K in her account but since it is a payrol and there is in and out for 3 months plus she is working in the government. hence, her visa application was approved. i hope this give you an idea. Hi Julius, was your visa approved? Hi sir. Nung dumating ka pangilan na po kayo sa logsheet? Ano oras po kayo natapos? Starting late May, via agency na lahat ng applications. You can apply 90 days before the trip. Yep, okay lang yun as long as wala pa ung for the current year. 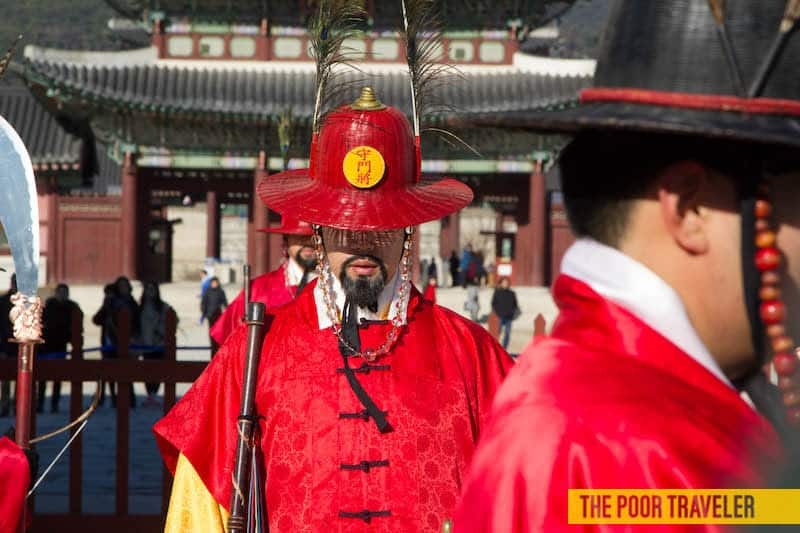 I’ll be my second time going to S.Korea, do I still need the UPGRADED ITR? Anyone here na nag submit ng Explanation letter in absence of Company Alphalist and got approved? hi mari.. a friend of mine applied without the Alpha list but a letter or certification from the company explaining that in observance of the Data Privacy Act of 2012, the office can not provide such since the person is not only in the list and was approved.however, if you could possibly haggle with your company to erase the other names of the employees then try i then make a cover letter explaining bakit na erase. just what i have done.. and i was approved. First… Thank you very much. Very informative. I must apppy in September so the Visa is within 3 months? I have More or less 600K in my bank account, maapprove kaya ako? Maraming other factors, but if okay lahat tapos 600K ung funds, yep, pasok sa banga na yan. Yung laman ng account ko is much lower than that. Hahahaha. Hi Weng. You misunderstood. Hindi sya AFTER 3 MONTHS, it’s WITHIN 3 MONTHS of issue. Meaning, pagka-issue, you can use it anytime sa susunod na 3 buwan. So if mag-issue ng May 10, pwede mo gamitin hanggang August 10. Pwede sya gamitin ng May, June or July din. We’re not online 24/7 kasi. We have a life offline. Our Korea trip kasi will be on July na then mag a-apply kami on first week of June. It is part of a Company Incentives. Question lang, may mga requirements ba para dun? Your blog is very informative and helpful! May I ask if I would apply as frequent traveler, would I still need to submit the alphalist? If frequent traveler ka sa OECD countries, di na. Hi, I asked my employer regarding sa Company alphalist, hindi nya daw kami pwede bigyan ng copy dahil confidential daw even I requested for a letter nalang to explain why. Hindi pa din daw pwede. Medyo hopeless nako kasi ito palang hindi kona maprovide. Is there any other way for this? Thank you in advance. Hi Angel, hmmm, not sure how to go about that, but if i were in your shoes, I would make a letter of explanation na lang. (Ako na lang mag-explain na ayaw ng company i-release.) Again, walang guarantee yan kasi requirement nila yan. Hi! I love your blogs. It’s very helpful. I just want to verify if it’s true that we can’t personally apply anymore instead agencies will do so? You mean you just opened a bank account last month? That’s a red flag for them. Hello! But what if I opened my bank account (with enough money), just three months before I applied for my visa? could I still be approved? Thanks! That still looks suspicious. It’s like you only opened an account for the purpose of applying for a visa. Hi, gusto ko lang mag-ask about my passport. My name is MA. VIOLETA, but in my passport MA VIOLETA. Hindi ko alam if okay lang na wala yung period sa MA ko sa passport. Valid pa din ba yung passport ko? Hi! I honestly don’t know the answer to this. But you can post this in our support group. Baka some members have an idea. Hi. 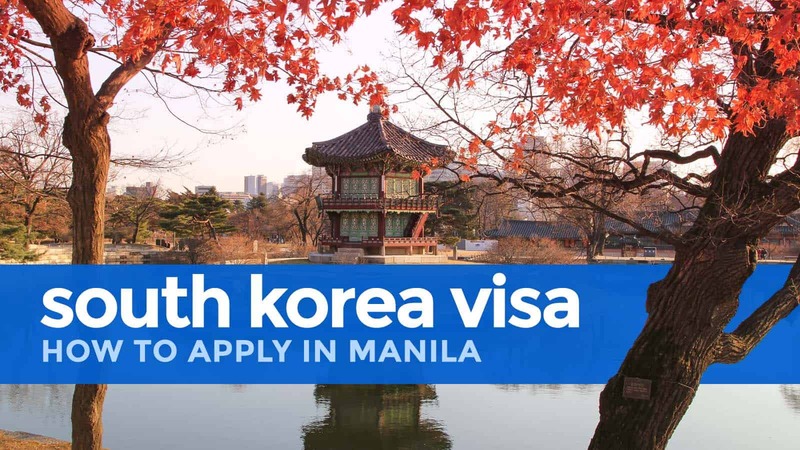 How do Filipinos working abroad apply for a Korean VISA? I am currently working in Kuala Lumpur and I will have a month-long vacation in the Philippines next month. I really want to visit South Korea. But I am not sure if I have to acquire my Korean Visa in the Philippines or here in KL. Hope you’ll answer. Thanks! HI need po ba both the bank certificate AND bank statements? Gagamitin ko kasi ay sa mother ko pero BC lang yung nakuha nya. Hi, we applied for Tourist Visa as a family last year (January 2017), and my dad provided the documents for my housewife mom and student brother. We provided all the requirement (requested for 3 bank statements and certificate – original, and photocopy of marriage contract etc) as stated on the requirements list, but when i submitted the requirements, the checker at the door, the one who gave me the queue number, removed all redundant docs (on my mom and brother’s application) and only kept my dads documents. Ayun! Thanks for sharing, Zarah! Hello po! Kukuha po kasi kami ng kapatid ko ng visa pero unemployed ung parents ko at wala po silang bank account. Minor/student pa po kasi sya pero may work na po ako, pwede po ba bank account ko na lang po instead sa parents? Thank you! Hi! Pwede yan. You just need proof na magkapatid kayo and letter/affidavit of support stating na ikaw ang sasagot para mas malinaw. Make sure din that your bank account has enough funds to support the both of you. Hi! It will be my second time travelling to Korea this coming September. As what you’ve stated above, past Korean visas doesn’t count in complying copies of the OECD visas. But, regarding the ITR, do I need to comply with it or not anymore? Hope you’ll reply. Thanks! Nagwoworry po talaga ako pra sa apply ko this first week of July tourist visa sya. Im currently employed namn for a year na sa Australian company, but i will be using my payroll account. I deposited 50k last month and and yung sahod ko from last month and sa ngayong month hindi ko kinuha kasi inipun ko tlaga for my travel sa Korea. Ang pagkakaalam ko kasi yung payroll yata walang ADB kpag kumuha ako ng bank cert at bank statement. Meron na po akong COE and ITR and also yung patungkol nmn sa alphalist kasi ndi nila pwede idisclose yun kasi confidential gumwa ng cover letter company ko kung bakit hindi nila pwede maibigay and they given me also the BIR transmittal form which is a certified confirmation na nagsubmit sila sa BIR and also with my name there na nakaerase yung ibang names ng mga kawork ko. Ive been out of the country before nadin kaso ndi sya travel fiance visa sya nong way back 2012-2013. Sa Oslo Norway, im not sure if its still considered. Korean embassy in Manila no longer accepts walk-in applicants. 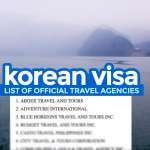 Please check their accredited travel agencies wherein you can file your Korean visa application. Hi Lonie, medyo mahihirapan kapag unemployed talaga. For me, it all depends at the consul officer whether they will grant you a visa or not. In my case, I visited last July 2017 in SK. I was able to submit for BDO Elite Card which is the Visa Platinum Card. Embassy issued me that time as Single Entry. However, that time, I was currently employed in Insurance Company here in PH. Then, just this January 2018, I decided to quit my job and focus in helping our small Family business which is General Merchandise Store in a Province here in Southern Cebu. Obviously, we cannot issue like COE and ITR since it is only a small proprietorship. When I try to apply this September 2018, I had to prepare the necessary documents like my ASIA MILES ACCOUNT, BDO STATEMENT OF ACCOUNT, BDO CERTIFICATION FOR MY CREDIT CARD,CITIBANK (FOR POINTS TO SHOW) AND LASTLY, THE LETTER. I stated in the letter all the reasons why I wanted to travel or why I wanted to go back in SK, as to why I could not secure the ITR and COE, as to how much is my actual separation pay to cover my expenses during the trip and my current savings, as to how importance that I earned points to my credit cards to pay my fare for FREE, and to discuss my travel history back then. After they receive my application that was Monday in Sept.3, 2018, I waited until Wednesday and it appeared Application receive in Korea Portal. I thought that in Thursday until Friday night, they had the results already either Approved or Denied, but still the same result. Unfortunately, next monday, the new status is already, UNDER REVIEW. That moment, I already accepted that maybe it was not my time to go back in SK this year. So the next day which is Tuesday, it was the schedule for me to pick up the passport. When I check it in the morning around 9AM,,,BOOM! APPROVED! So when I arrived in the embassy in the afternoon, the consul officer had a big smile at me and said ” congratulation Sir, you are issued by Korea Embassy as Multiple Entry for 3 years”. To sum up, your travel history really matters at all. 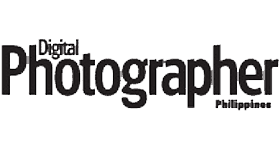 So if you are self employed with no ITR/COE or working like me at a small proprietorship. Just make a letter of explanation and be honest at all times in your letter. Hello! Thank you very much for this informative post! I’d like to ask if it’s still possible to apply for a VISA 2 weeks before the planned departure. Since the processing takes 7 days, there’s still another week before the actual flight. Hi Audrey, yes, kaya pa yan. Pero apply na lang as early as you can kasi di mo rin masabi, baka biglang magka-problem. Hello po, ask ko lang po sana ako, do I need to write the name po ng sister-in-law ko sa application form? tatlo po kami babyahe(My brother, his wife and me). For clarification lng po sana. Tyka po, yung sa given names po sa form – first name lng po dba and no need to include the middle name? Hi Dine, di na yung sister-in-law. Nakalagay naman sa form na spouse, mother, father, brother, sister, and children lang pwede ilagay. Yep no need na ilagay ung middle name. last name and first name lang. We completed our requirements last sept. 2018. And na recerive ng agency ang docs last sept 19. Pero nagkaprob ang papers ng kasama ko( regarding wrong spelling ng name nya sa ITR). Nag decide kmi na ma una nlng ako mag submit. By monday sept 24 ipapadala sa embassy. Okay lng po ba na nka date lahat ng docs ko sept 17 At 24 pa nasubmit sa embassy? Yep, ok lang po yun. Tanong ko lang po pra sister ko mag-aapply po siya as entrepreneur dahil may family business and her name is listed as one of the stockholders/owners since it’s a Corporation at isa po siya sa nagmanage nang business namin. Tanong ko lang po if pwde din ba siyang magpass nang valid PRC ID since licensed Pharmacist din po siya? pero hindi po siya nagwork as pharmacist. Hi Rich, hindi naman na nya pinapractice, parang di naman kailangan na isubmit yun. Hi Thank you for the info! 1. Pano po pag ang Type of bank ko is not Passbook kundi ATM lang po will they accept it? 2. Pag sariling sikap po ng application need ko pa po ba ng ITR? 3. Magkano po ba yung need na pera for application? 4. Ano pong question nila na pwede kong malaman? 5. Wala namn po akong kasama and wala din po akong kakilala sa korea need ko po ba magpabook agad ng flight and hotel? 6. Pano po pag under agency ako sa trabaho ko? 1 year na po akosa work ko. may balak nadin po akong mag resign maaaccept pa po ba nila ang application ko? 7. Ano anong reason po bakit na dedenied ang application? Thank you po ng marami sana mabasa nyo po ito at sana matulungan nyo ko. :) Godbless you! 2. Yes. Lahat ng application ngayon is via agency. Hello… my girlfriend is a korean and she wants me to spend time there. She can give me an invitation letter. I wanna ask.. can she be my guarantor? And is it possible to stay there upto 59 days as the information says even though i don’t have a lot of money in the bank? Thanks in advance..
Hi… I have my confirmation Visa from Korea. What the next step that can I do? I went to Korean Embassy and they says that I need medical certification and 3 thousand payment for visa fee. Is that the right process? Hi Alpha, in my opinion, it’s better to choose just one, ideally one na stronger ang supporting docs mo. If mas maayos ung supporting docs ng parents mo kaysa sa’yo, safer to apply as a student. That’s just my hunch, though. If you choose to submit docs to prove you’re both employed and student, best to write a cover letter to explain it. UPDATE: I consulted a designated travel agency for the best way to go about this, and they said that it’s better to apply as a student and submit parents’ docs. They said applying as both employed and student can confuse the embassy. They also said that part-time jobs are often viewed by the embassy negatively because it tells them 2 things: one, that you are not as rooted and as financially stable, and two, that there is a possibility that you will work there too. Hi! I just want to ask paano if currently unemployed ako pero my mom is willing to shoulder all the expenses? I’ll be travelling with her if ever we both get approved. Hi Raya, hindi ko alam for sure, pero baka need mo ng Affidavit of Support and probably explanation letter. Pero best to just contact yung travel agency kung saan mo balak mag-apply, mas alam nila. Hi, I would like to ask a question. I am a government employee and our agency doesn’t have a telephone number, we only have mobile number used in the office. Pwede po ba kahit yung mobile number nalang po ang ilagay ko sa contact number ng employment details ko? Hi Evelyn, di po ako expert ha, pero sa tingin ko po medyo mahihirapan kayo kasi kung wala po kayong ITR tapos newly registered yung business nyo, tapos andami n’yo pong iso-sponsor. Since lahat naman ngayon ng visa application ay dapat idaan sa designated travel agency, sa kanila na lang po kayo magconsult para sure kasi mas alam nila.